Facebook has blocked 115 accounts on its platforms due to alleged "inauthentic behavior" ahead of the 2018 midterm elections on Tuesday. Facebook made the announcement in a statement Monday evening, saying it blocked 30 accounts on its namesake platform and 85 on Instagram that authorities believe are linked to foreign entities tying to interfere with the closely watched U.S. elections. The social media giant said U.S. law enforcement flagged the accounts on Sunday, citing "online activity that they recently discovered and which they believe may be linked to foreign entities," according to the statement. Facebook, which owns Instagram, said it immediately blocked accounts and opened an investigation. Facebook logo is seen on an android mobile phone in front of a computer screen. Nearly all of the blocked Facebook pages appeared to be written in French or Russian, although the Instagram accounts were mostly in English, the company said, noting that some of the Instagram accounts focused on celebrities and political debate. "Typically, we would be further along with our analysis before announcing anything publicly," Facebook said. "But given that we are only one day away from important elections in the U.S., we wanted to let people know about the action we've taken and the facts as we know them today." Facebook released a statement Wednesday evening, possibly linking some of the blocked accounts to the Russia-based Internet Research Agency. "Last night, following a tip off from law enforcement, we blocked over 100 Facebook and Instagram accounts due to concerns that they were linked to the Russia-based Internet Research Agency (IRA) and engaged in coordinated inauthentic behavior, which is banned from our services. This evening a website claiming to be associated with the IRA published a list of Instagram accounts they claim to have created," Nathaniel Gleicher, Facebook's head of cybersecurity policy, said in an statement. "We had already blocked most of these accounts yesterday, and have now blocked the rest. This is a timely reminder that these bad actors won't give up — and why it's so important we work with the US government and other technology companies to stay ahead." CEO Mark Zuckerberg warned last quarter that the company's sales growth would slow significantly for the remainder 2018 as it ramps up spending on safety and security. Employees work in Facebook's "War Room," during a media demonstration, Oct. 17, 2018, in Menlo Park, Calif. The company said it deleted 82 "bad actors" from Facebook in October due to coordinated inauthentic behavior that originated in Iran. 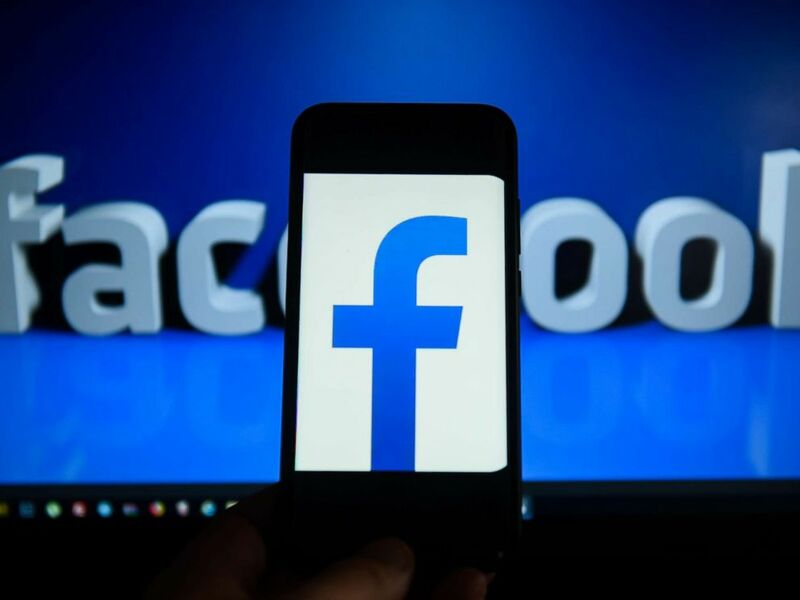 Facebook also disclosed sophisticated attempts from Russia to interfere with elections and promote political discord in the U.S.
An internal investigation into the Iranian accounts found that more than 1 million Facebook users had followed at least one of the fraudulent pages, while about 25,000 users joined at least one of these politically oriented groups, according to a company statement. 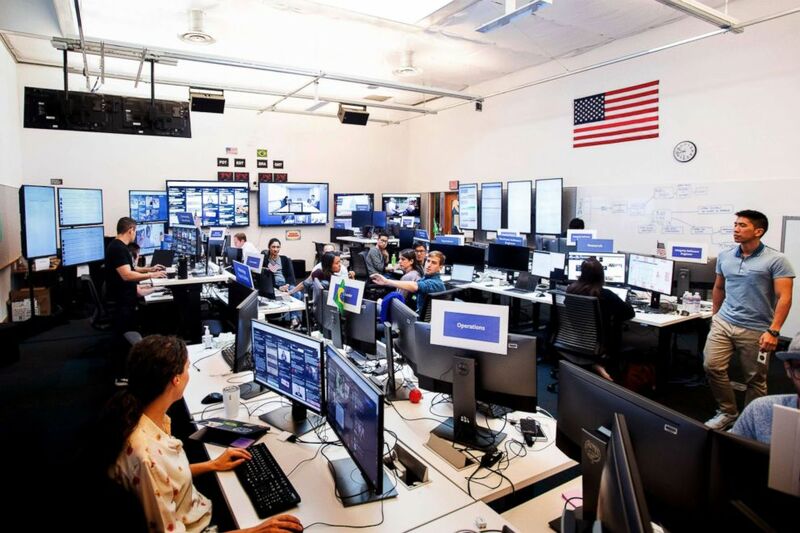 Facebook company opened a war room earlier this year in an effort to combat election interference around the globe. The company said its so-called elections war room is the nerve center of the social network's fight against misinformation and political interference. "Finding and removing abuse is a constant challenge. Our adversaries are smart and well funded, and as we improve their tactics change," the company said in October. "We prohibit coordinated inauthentic behavior on Facebook because we want people who use our services to be able to trust the connections they make."